You want A-mazing grades. I want to help you to get them. So, I've put together this page giving you my top blog posts to help you achieve exam success. I've split them up into categories to make it easier for you to find what you're looking for so if you're having trouble with time management, start there. If you don't know how to revise, start with the revision section. If you're not coping with the simple idea of exams, start with the Coping With Exams section. Never miss a post again by signing up for my weekly newsletter. 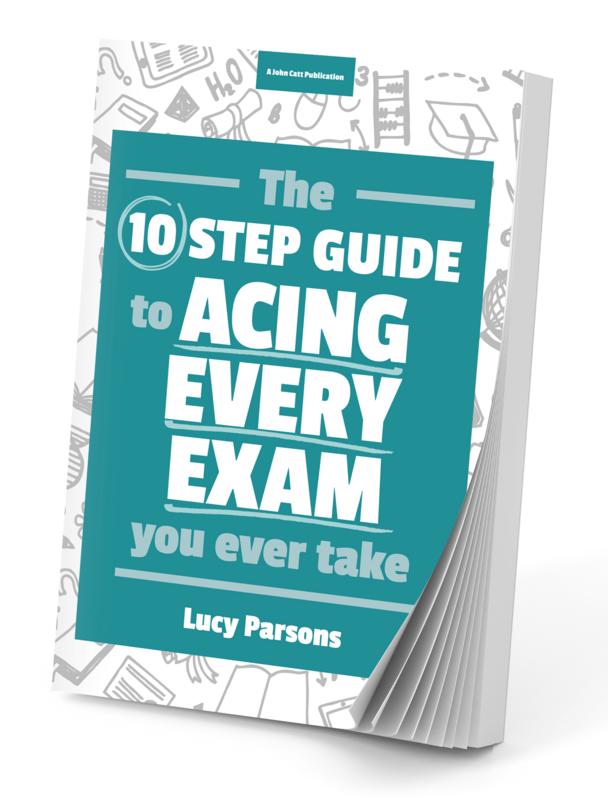 Not only will you get my most recent posts sent directly to your inbox every Monday, you'll also get a free chapter of my ebook The Ten Step Guide to Acing Every Exam You Ever Take. Scheduling out your own time the way your school day is timetabled is key for consistent studying. Often people think you need to be really clever to get the top exam grades. While it helps, there are other things that are just as important such as time management. All the most successful people have a plan. You'll learn how to create a revision plan that works for you. When it's half-term, the Easter holidays or exam leave it can be really hard to pull yourself together and study independently. This post shows you how. This is a workshop I ran with Martin Griffin (co-author of The A-Level Mindset). 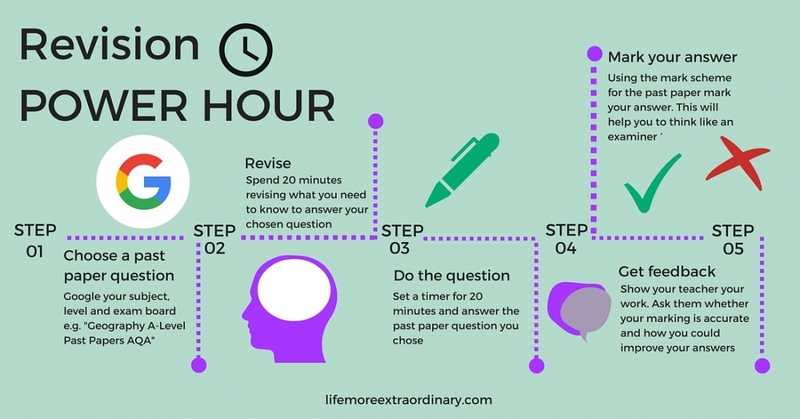 When you watch it you'll get some really useful tips on how to very effectively revise for your exams. The biggest factor in achieving exam success is knowing what you're working for. It may be enough for you to know that you're just working for good grades. However, for many this isn't the case. You need to know how these good grades are going to help you achieve your life goals. Working towards getting great results is a journey that can't be completed in a day. 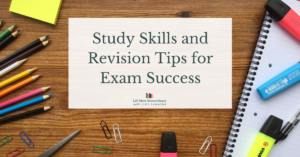 In order to get through it you need to plan out how you're going to take breaks that will boost you and improve your revision and exam grades. Have you got questions about revision? In this post I've answered some of them. Use the comments section to ask more! I'll be sure to get back to you. Revision time is limited and precious. You can't afford to waste it by revising in the wrong way. Bored of your current revision techniques? I scoured the web to find some new and unusual ways to revise to help you get your revision juices flowing again. If you’ve got a closed book English exam coming up you’re probably daunted by the need to memorise quotes. No doubt there are loads of quotes you’ve underlined in the text as being really important and it just seems too much for your poor brain to take. In this post I give you some tips and suggestions about how to memorise quotes for your closed book English exam in a manageable, and maybe even a fun (!) way. Setting exam target grades that are both comfy and have a bit of stretch is a great way to keep you focused and motivated. Does social media stop you from focusing on your revision? Do interruptions from friends and family stop your concentration? Is taking just an extra five minutes break too tempting? Learn how to overcome these problems so you achieve better quality revision, more time for you and you get better grades. It’s not enough to know your stuff when you’re taking exams. You have to know how to communicate what you know to your examiner. Get this down to a fine art and be sure to get grades that will make you shine like a star! These are the crucial documents that you should be milking to all they can tell you in your quest to get A-mazing grades. I show you how to find them in this video. Sign up to download your free chapter today! Enter your details to download your copy today.